Tis’ the Season to Celebrate! Special occasions are special for a reason. Landmark events, accomplishments, celebrations of new beginnings, families, friends, and upcoming opportunities. Life is meant to be enjoyed and we believe that to our very core at Proof Kitchen + Lounge. Whatever the reason is that brings you through our doors, once you are here, we are dedicated to eliminating all your outside noise and pressures so that your energy can go into enjoying your company and our deliciously inspired food and beverages! Have something extra special to celebrate? 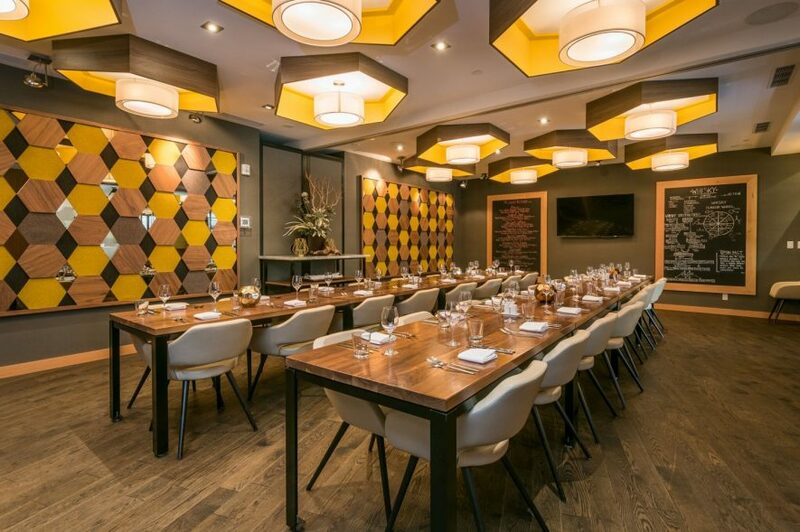 Get the Proof VIP experience by reserving our private dining spaces for your holiday party! 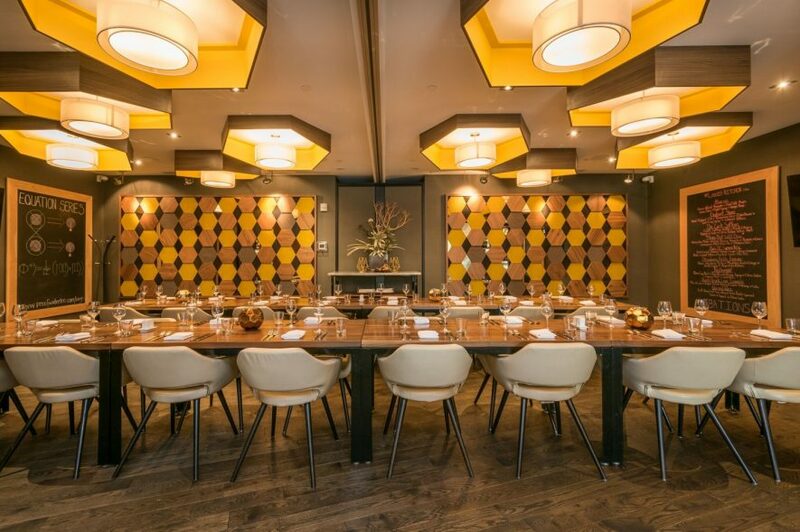 Apart from our beautiful dining room and lounge space, Proof offers private and semi-private rooms which provide guests with an intimate and personal setting to enjoy their event. With a screen available in each room, you can share a presentation, special slideshow, and even watch the big playoff game! We offer a variety of menu options that can be customized to fit any preference or dietary need. We take great care and detail in creating a service that is customized for your occasion, ensuring no details are missed for the optimal guest experience. From standing cocktail receptions to large seated dinners, private meetings or presentations, we turn our restaurant into your personal venue. Tis the season they say! And while it truly is the season for parties and celebrations, social gatherings with co-workers, friends, and family, it is always the season here at Proof to celebrate. 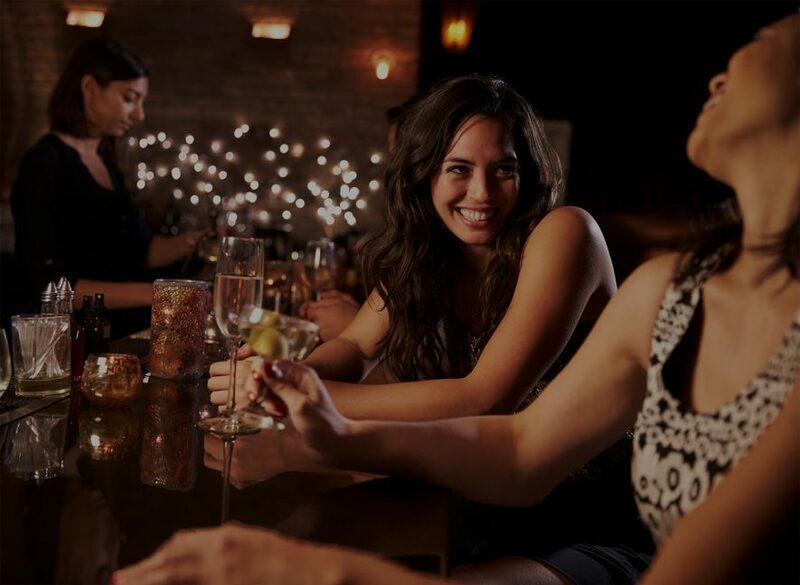 It may be the company and the opportunity that brings us together, but our venue and service are what make your lovely night out an exceptional experience. Have an occasion in mind but not sure how Proof is right for you? Give the restaurant a call, we would be happy to discuss the ways we tailor our spaces for you. Parties of 10 or less: can book via Open Table. Parties of 10 or more: please contact us. © 2019 Proof Kitchen & Lounge | Waterloo.